The idea for the book gradually took shape over the last few years where there has been unprecedented upheaval in the legal world. It's become clear to me that there are those that "get it" and can see that law firms must change in the way they deliver legal services...and there are those that long for the "old days" when the phones rang and clients never stopped coming in. 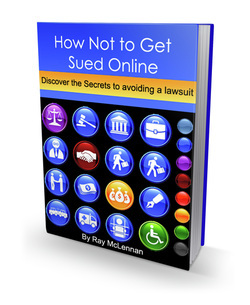 The only way the 'phones will ring is if lawyers start to get out there and look for business. It's more likely that the 'phones will continue to stop ringing but email enquiries and website contact form enquiries will increase on a vast scale....if you create the right website environment for that to happen. 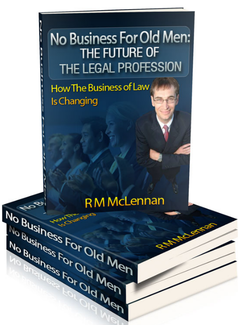 In this new legal world, there is no place any more for "old" thinking; so this has now become, No Business For Old Men. 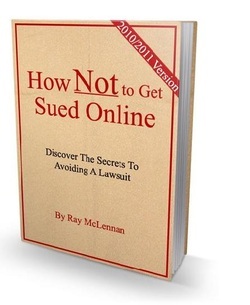 If you're an older (50+) lawyer or a lawyer of any age but disconnected from the digital...be afraid...be very afraid! The way law and legal services will be delivered to customers will be very different in the very near future. This time I was specifically asked to write this for a network of internet entrepreneurs. This is simply another design of the same book as above - for some reason it was regarded as too colourful to be a serious book. I happen to like it but the comment came from a man who has sold more books that I have (quite literally) had hot dinners, so I'm not going to argue.